Flawless skin is universally the most desired feature in humans. At Castleknock Cosmetic Clinic Dublin treatment yields a skin that glow, giving radiance and vitality. Skin rejuvenation gently revitalises the skin reversing the “telltale” signs of aging. 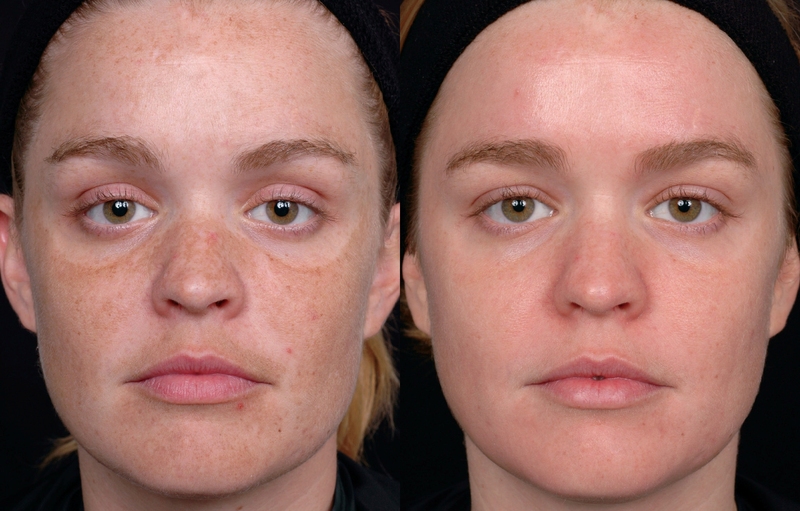 Unwanted freckles, sun spots, broken veins and so on are eliminated. The result is a soft, natural and more youthful appearance. Photofacial rejuvenation increase skin hydration from within by improving the production of natural collagen, elastin and mob up harmful free radicals. Unlike more aggressive lasers, surgery, or outdated Intense Pulsed Light (IPL) systems, the latest generation technology delivers RejuveLux treatment using smooth fluence (energy) and long pulse duration at specific wavelength bands to achieve superior photothermolysis. 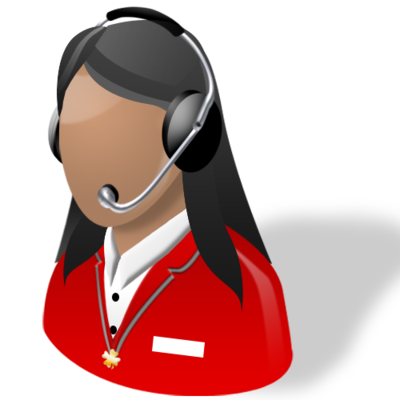 The result is more comfortable treatment and target clearance can be achieved in lesser number of sessions. The Photofacial is gentle enough to treat delicate areas like the full face for a far more aesthetically pleasing effect. Typically treatments are performed in four sessions over three months. 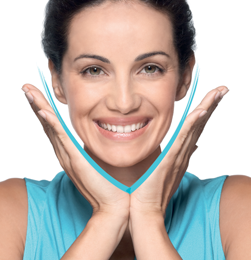 Photofacial provides gradual improvement with very low risk that patients find it tremendously satisfying. The procedure is safe enough for application on the neck, chest and hands. A powerful handpiece, with multiple settings, packs concentrated power into each pulse to treat varied skin types and conditions. The handpiece eliminates pigmented lesions (sunspots or age spots), by delivering a pulse of intense light, which passes harmlessly through the skin and is absorbed by the pigment in the unwanted lesions. The light heats the pigment and disables the cells that produced it. The body naturally sheds these dead cells after about two weeks, leaving behind fresh, unblemished skin. 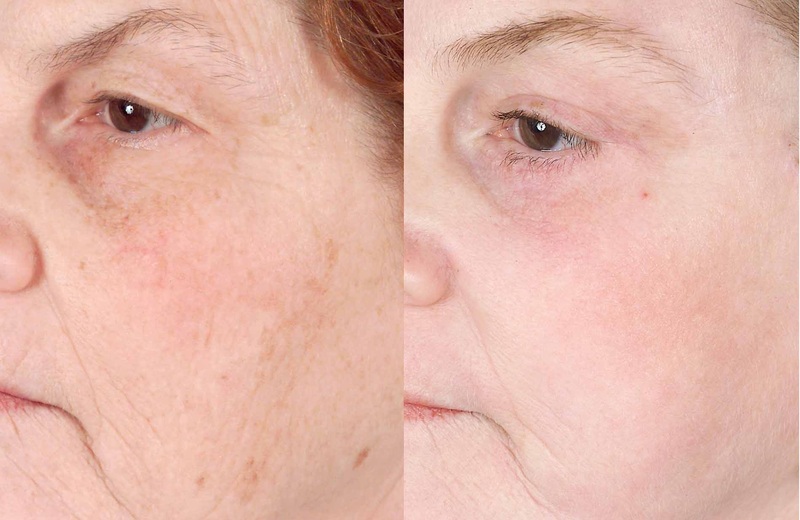 Photofacial treatment is quick and painless. Most patients describe the photofacial light pulses as a ‘snapping’ sensation, which causes mild discomfort at most. After the treatment, there may be some redness for a few days, but that quickly fades and the patient can enjoy the effects of blemish-free skin. When interchanged with alternate light bandwidth, the effect is gentle stimulation of one’s own collagen and elastin production. And the best part? NO downtime! Smooth Selective Photofacial Therapy gives you the benefits of a medium depth laser or chemical peel or other type of facing/rejuvenation procedure without the blisters, burns and long recovery time. 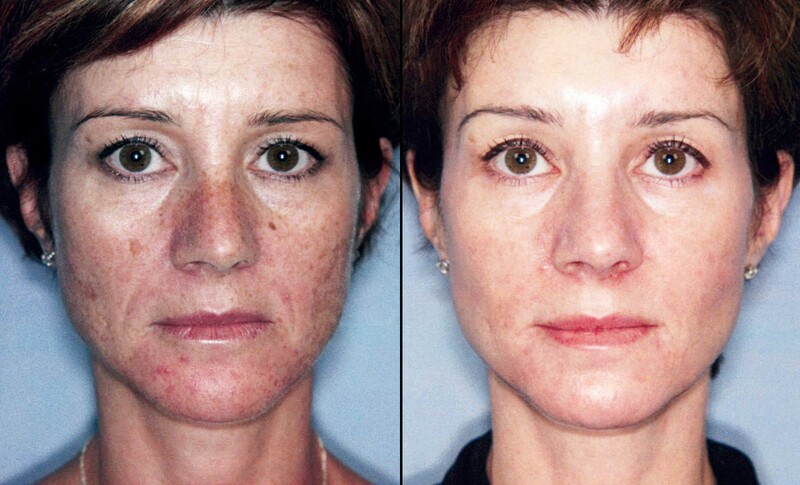 Not only that, photofacial is the only proven therapy to help with redness (rosacea, flushing, etc)!